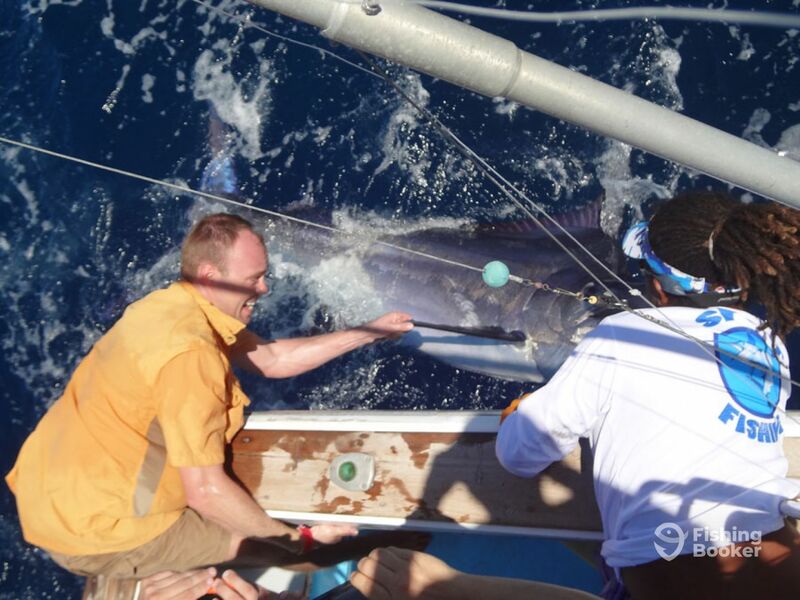 Papagayo marlin fishing in a full day! We went out from Occidental Grand Papagayo resort located in Playa Panamá, Costa Rica. This resort is one of the top fishing resorts in the Gulf of Papagayo, where you can book a fishing charter like today! Captain Nelson Mendez took them into the gulf of Papagayo looking for billfish, after several hours trolling with a 30lbs rod, ballyhoo bait and lures, we caught and release a blue marlin around 280 lbs and fighting for 1 hour. Captain Nelson Mendez will be your guide for the fishing trip on the Tuna Fish. He has fished around all Central and North Pacific Coast of Costa Rica looking for big game sportfish including Marlin, Yellowfin Tuna, Sailfish, Roosterfish, and Mahi Mahi. His ample experience in both inshore and offshore fishing makes him a well-rounded angler able and ready to target any pelagic species in the Gulf of Papagayo. Nelson is in love with every form of fishing — be it sportfishing, inshore or offshore, he truly commits to doing it all. He is simple, responsible, kind, and persistent, all the qualities that make an amazing captain. Nelson started fishing when he was 13 years old, and at the age of 18, he started working as the first mate and hasn't looked back since. Nelson also participated in 3 international fly fishing tournaments, where he made amazing results and won the third place once, and a second place twice.